The industrial hygiene profession mourns the passing of one of AIHA’s past presidents and storied leaders. William H. Krebs, PhD, CIH, FAIHA, passed away Monday, Oct. 1, 2018. Bill leaves behind his loving wife Renee Ann Krebs; his children Bill (Colleen) Krebs and Sedda (Greg) Wuller; stepson Thomas A. D’Alleva; grandson Rye Wuller; brother Charles (Sally) Krebs, PhD; and a large group of devoted friends. Bill’s career began more than 50 years ago when he received his master’s degree in Industrial Health from the University of Michigan under the watchful eye of Professor Warren Cook, AIHA’s 2nd president and world-renowned industrial hygiene pioneer. After a short time as an industrial hygienist at Lumberman’s Mutual Casualty Co., Bill returned to Michigan to earn his PhD, also in Industrial Health. Bill was undoubtedly inspired to pursue his industrial hygiene career by his late father William T. Krebs, MD, who, among other notable occupational health professionals, was instrumental in the formation of the Michigan Industrial Hygiene Society in 1937. Bill was an active U of M alumnus and loyal donor. He served on the Dean's Advisory Board at the School of Public Health. He was also a strong supporter of Michigan Public Health students, helping to establish both the William H. Krebs Fund, which provides monetary support for students pursuing industrial hygiene, and the Warren A. Cook Award for doctoral students in industrial hygiene. Bill’s institutional devotion is surpassed only by his personal mentoring of countless individuals. To Bill, it didn’t matter if you were just starting your career or a seasoned professional, or whether the topic was as important as a job change or something less critical, he was always there to give valuable advice. Bill left an enduring mark on the industrial hygiene profession through his benevolent leadership, mentorship of professionals in all stages of their careers, and contributions to our body of knowledge. William H. Krebs (pictured) served as AIHA president in 1988-89. FRANK RENSHAW, PhD, CIH, CSP, FAIHA, is president of the AIHA Yuma Pacific Southwest Local Section. He can be reached via email. Acknowledgments: The author thanks Bill Kilgore, Bob Lieckfield, and Del Malzahn for their contributions to this article. 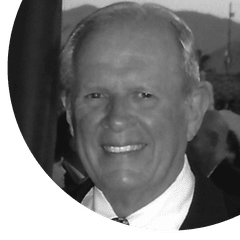 In 1970, Bill started a twenty-three-year career with General Motors Co. as a field industrial hygienist who quickly became GM’s subject matter expert for all asbestos-related issues. In 1977, he was promoted to a director-level position to establish GM’s Toxic Materials Control Activity. Bill returned to direct the Industrial Hygiene Activity in 1990, where he stayed until his retirement in 1993. After retiring, Bill remained professionally active, founding two health science companies: one that allowed him to continue providing expert witness testimony in asbestos litigation cases, and the other providing information used to maintain GM’s Mortality Registry. His contributions to the profession were many, having served on the AIHA Board of Directors and as AIHA president in 1988. During his year as AIHA president, Bill presided over deliberations regarding the AIHA organization and management structure including the decisions to move to a new headquarters, to hire an association professional as AIHA’s executive director, to evaluate merger options with ACGIH, and to lead the year-long celebration of AIHA’s 50th anniversary. Bill’s leadership was equally visionary and ambitious in developing the international affairs of the association, serving as AIHA’s delegate in the formation of the International Occupational Hygiene Association and as AIHA’s spokesman at prestigious international events such as the annual meetings of the British Occupational Hygiene Society and the Associazione Italiana Degli Igienisti Industriali. Remarkable as his service was to AIHA and IOHA, Bill’s impact and devotion to local sections was equally notable. He served as president of MIHS and twice as president of the Yuma Pacific Southwest Local Section. Bill left an enduring mark on the industrial hygiene profession through his benevolent leadership, mentorship of professionals in all stages of their careers, and contributions to our body of knowledge. He was the consummate industrial hygiene professional and always a first-class gentleman. When he entered a meeting or gathering, the entire room became a much brighter place. For those of us who had the honor and pleasure to work with Bill, we have lost a true friend.